Isamu Noguchi, born in 1904 in Los Angeles to the Japanese poet Yone Noguchi and the American writer Leonie Gilmour, studied at Columbia University and the Leonardo da Vinci Art School. He subsequently established his first independent studio and received a Guggenheim Fellowship in 1927. He then worked as an assistant to Constantin Brancusi in Paris and presented his first solo exhibition in New York. He studied brush drawing in China and worked with ceramics under Jinmatsu Uno in Japan. His experiences living and working in different cultural circles are reflected in his work as an artist. Isamu Noguchi is considered a universal talent with a creative oeuvre that went beyond sculpture to encompass stage sets, furniture, lighting, interiors as well as outdoor plazas and gardens. His sculptural style is indebted to a vocabulary of organic forms and exerted a sustained influence on the design of the 1950s. “My father, Yone Noguchi, is Japanese and has long been known as an interpreter of the East to the West, through poetry. I wish to fulfill my heritage”, he wrote in his proposal for a Guggenheim Fellowship. ￼￼￼Table top heavy glass, 19 mm, rounded edges. 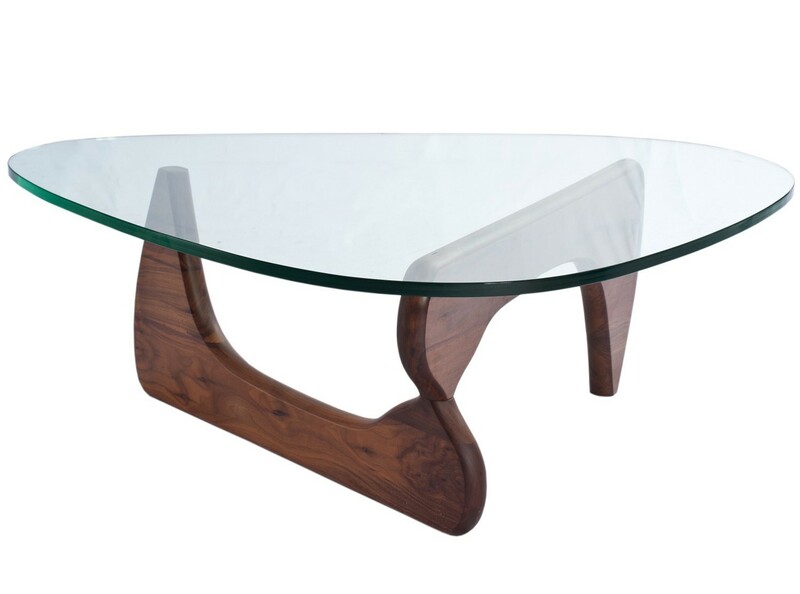 Base solid wood with lacquer finish, rounded edges. Oak, Maple, Walnut or Black Ash. 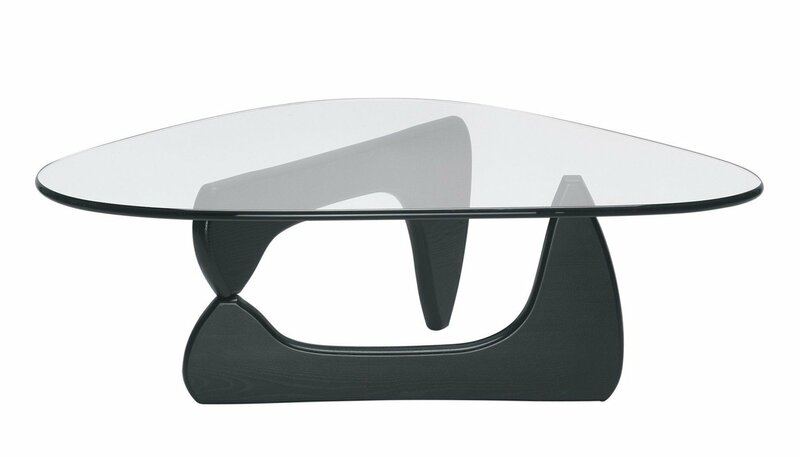 The sculptor and designer Isamu Noguchi himself described the Coffee Table as his best furniture design – no doubt because it is reminiscent of his biomorphic sculptures in bronze and marble from the same period, translating the typical forms of the latter into a piece of sculptural furniture. 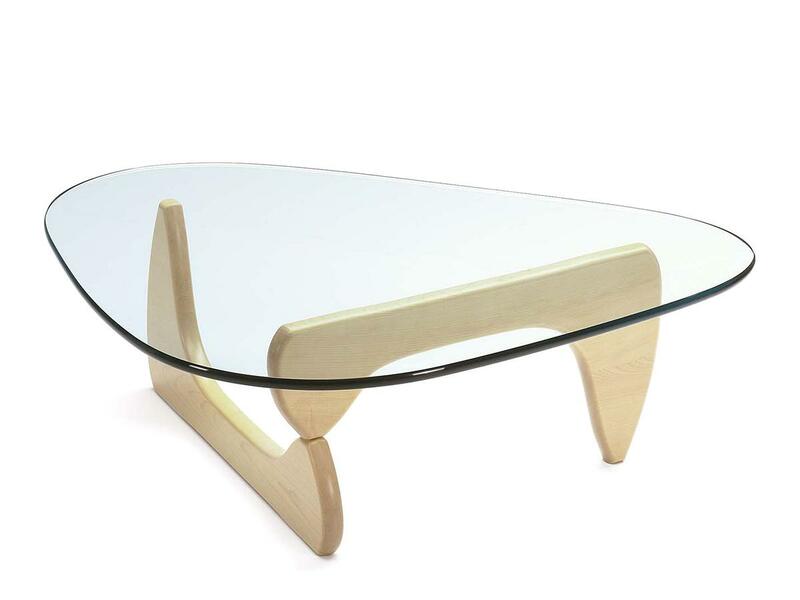 The heavy plate glass top of the Coffee Table rests on two identical wooden elements placed at right angles.